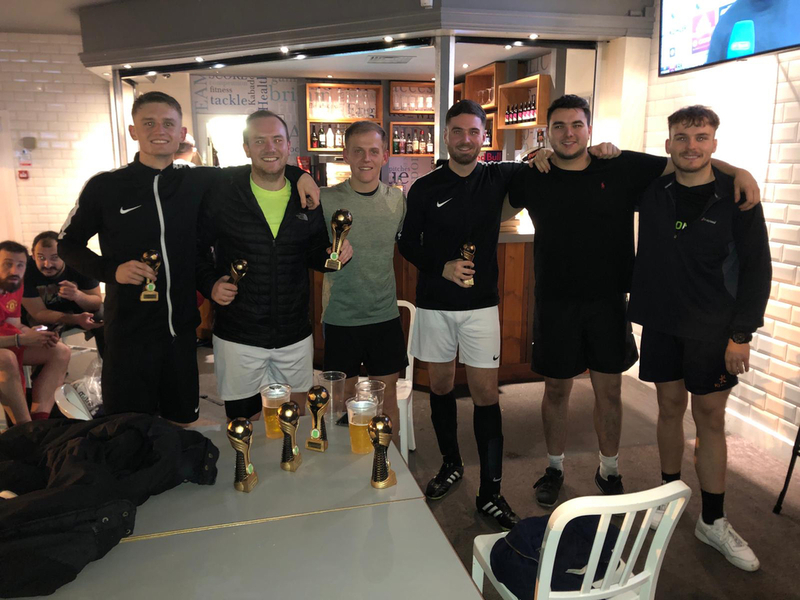 Congratulations to the CheckdMedia five-a-side football team on winning the Christmas Cup at the Ardwick Powerleague in Central Manchester! The lads braved the brisk weather on Wednesday night and really turned on the style, conquering a competition of 23 other teams. The tournament was made up of 24 teams that were divided into four groups of six. The top two teams from each group progressed to the Quarter Finals, where it became a knockout format up until the final. CheckdMedia were convincing winners in their group with four wins and one draw from their five games. This saw them qualify for the quarter-finals where they were dominant from the first whistle, running out 4-0 winners. The semi-final was a tighter affair, as they came up against a side they had already faced in the group stages. The lads still managed to fire their way to a 3-1 victory thanks to some clinical finishing and a solid all-around team performance. The final brought a 6-goal thriller with a hat-trick from Callum helping CheckdMedia claim a 4-2 victory. A huge well done to all the guys who took part in the event and hopefully, CheckdMedia can retain the title next season.